Alenna is a dynamic teacher that brings a multitude of knowledge and experience into her classes. Teaching since 2012, she thoughtfully builds classes that are accessible to all, regardless of her student’s age or physical abilities. In her classes, she weaves her deep understanding of therapeutic movement and mindful breathing, leaving students with enhanced self-awareness. Each class usually has a component of soothing mindfulness, breathing, therapeutics, physical movement and stretching. In 2011 she embarked on her yoga training completing 200 hour YTT with Daniel Clement at Open Source Yoga, 300 hour YTT with Leanne Kitteridge at Shibui, 25 hour yoga therapy with Judith Lasater, 20 hour Yin immersion with Lauren Roegle, and Rainbow Kids and Family yoga training. She teaches at several studios throughout the mainland, and her favourite class offerings are: Hatha, Yin, Core Yoga and Wellness Yoga. A dedicated student and passionate teacher, Corinne’s Yoga journey began 18 years ago. Developing her style and knowledge with extensive travel, workshops and numerous teachers her belief is “a teacher can only lead a student as far as she has travelled herself”. Each class and experience is built to cultivate breath, awareness, strength and flexibility – allowing each student to connect with the best version of themselves. Truth is our identity and the journey into one’s own true self through yoga is where the magic begins. Heather came to yoga out of a simple need to breathe and stretch her tight hips and soon discovered what a transformative journey yoga can be. Heather teaches flow, power and hatha classes that focus on sequencing and alignment to create a deeper connection to the inner and outer body. in Heather's classes, there will be breath, there may be sweat and there will be a lot of joy that will take her students into a fuller expression of their true selves on and off the mat. "Yoga astutely connects us to the world and beings around us and changes the way we react." With an appreciation for the individual journey, Heather Anne creates lively flow sequences that will warm you up, with a focus on alignment and a lighthearted atmosphere. Her classes invite a deeper connection to breath and body awareness; designed to challenge, strengthen & lengthen, while rooted in a solid foundation. You will be cheered and supported; sometimes cheeky & always encouraging. Come prepared to sweat, have fun & explore new possibilities as you deepen your yoga adventure. Heather Anne obtained here teaching certification through the Shibui Yoga School in White Rock under Leanne Kitteridge, and is a 200-hour level registered instructor through Yoga Alliance. Jeff’s classes are accessible and welcoming to yogis of all levels and from all walks of life. Rather than trying to push boundaries or test physical limits, Jeff likes to work at a level and a pace that increase deep mental focus and contribute to a greater mind-body awareness for all students. His goal is for students to feel good about wherever they are in their practices. Jeff completed his certification in Ashtanga Yoga and Hatha Yoga at the Saltspring Centre of Yoga and continues his studies through ongoing workshops in a variety of yoga traditions. In 2009, I started practicing at Live Yoga, and completed a 200-hour training at Yandara Yoga Institute in Mexico in 2011. I have kept my training a constant since then, while also completing a bachelor's degree in political science. My more recent trainings have focused on relational somatics and zen meditation. Yoga practice has helped me to cultivate strength, courage and kindness. In my classes, I hope to support your practice in ways to help you cultivate within yourself your hearts desire. To do this, I help people attune to themselves, release stress and quiet the thinking mind, while also offering guidance and support to go deeper. The people at Live Yoga inspire me- teachers and students alike. I feel very lucky to be able to help in the practice of the members of this yoga community at the studio where my practice began eight years ago! 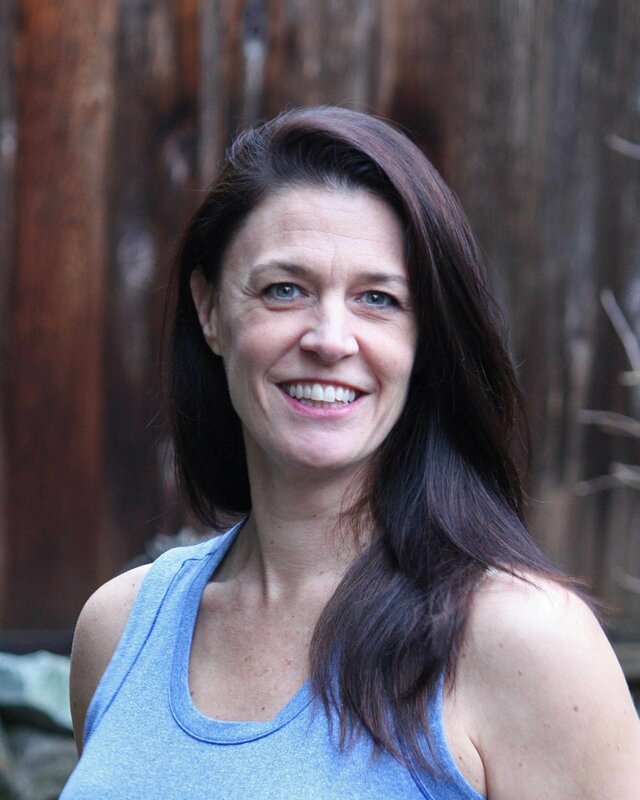 Jill Irvine is passionate about movement and teaching and focuses on yoga therapeutics, alignment, and strength. As a licensed physical therapist with over 20 years of experience Jill blends physiotherapy, yoga, and movement into her classes. Jill integrates her hands-on manual therapy techniques with yoga therapy to help her patients achieve optimal health and movement. 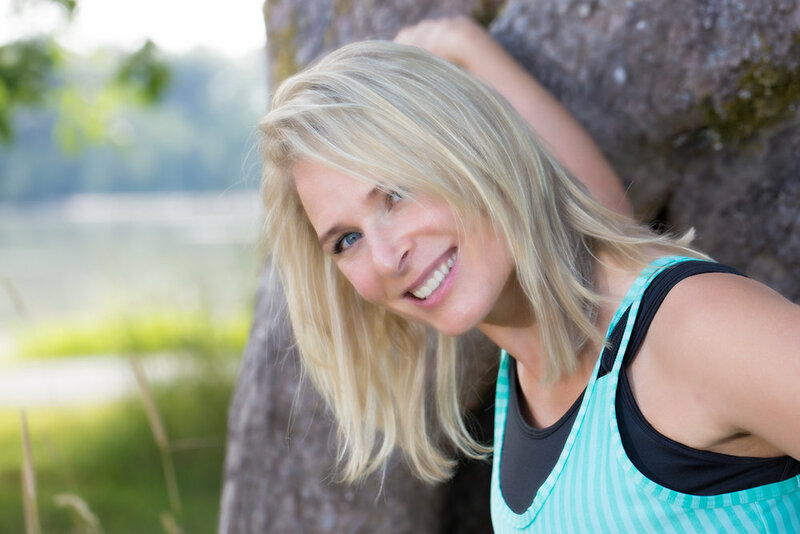 Jill graduated from UBC in 1995 with a Bachelor of Science degree in Physical Therapy. In 2001, she became a Resident in the Canadian Academy of Manipulative Therapy. In 2003, she received her certification in Dr. Gunn's IMS (dry needling for trigger point release). In 2004, she completed the academic component for the Research Masters of Science program at University of Calgary. She recently completed her medical yoga training at the Professional Yoga Therapy Institute. Jill has a love for anatomy and the human body and trains yoga teachers on anatomy and injury prevention. Jill likes to be involved in her community where she lives, and owns a physiotherapy clinic in White rock BC. Katarina's yoga classes focus on building strength from the inside out. Her classes start slowly and build progressively, focusing on form, alignment and moving with the breath. She draws on a detailed knowledge of anatomy and movement to help students connect within as she guides them safely through the practice. Katarina is an experienced yoga practitioner, a former professional athlete, and a certified pilates teacher. It was a back injury that led her to pilates and a focus on core yoga, which has become her passion. "Not only did pilates and connecting to my core help me with my lower back injury, but when I got back to my yoga practice I couldn’t believe how much my practice had changed." Having dabbled with yoga on and off for years, I became hooked in 2005 after the birth of my daughter when struggling with post partum depression. After trying several things yoga was the “thing” that helped the most because it worked on so many different levels; it calmed my nervous system, helped me work through chronic muscle tension, it even gave me the tools I needed to begin looking at damaging beliefs I held about myself and the world that kept me in a depressive cycle. Yoga has been a gift. It transforms from the inside out - not just increasing flexibility in our bodies but also in our hearts and our minds. Teaching has given me another opportunity to be a student of yoga. I am grateful for what I learn every day from other teachers and practitioners on and off the mat, and I am always humbled by how much there is to learn! I have an ongoing desire and curiosity about how to practice yoga when not on the mat. Although I believe that yoga is a sacred practice, there is always room to laugh and make mistakes! I hope that people will find my classes fun and relaxing but also challenging and sometimes thought provoking. When not on the mat I am an obsessive reader, lover of the outdoors and arts, and I especially love just hanging out with my family. Laura guides classes designed to nurture the individual’s yoga journey in the space of community practice. Like so many others, injuries and frustration brought Laura to yoga. She experienced yoga’s subtle power and became fascinated by the science and the practice. Curiosity led Laura to explore yoga’s many aspects through practice, mindfulness and 600+ hours of teacher training. She is exceptionally grateful that she gets to share her exploration with others. In Laura’s classes expect the odd bad pun, the opportunity to be playful, challenged, and to learn some obscure anatomy or yoga fact – she is an admitted geek. Every class begins with an invitation to be present for your practice and ends with the opportunity to experience ease in the moment. Lauren Rasmussen, E-RYT 200 is a yoga teacher, health and wellness coach, writer, and mental health advocate. She believes yoga is beneficial to everyone and is passionate about creating a safe space for students to explore their bodies and their breath. Her teachings include a fun yet challenging practice that create a deeper understanding of the body through mindful alignment and breath cues. Lauren received her 200 hr Yoga Teacher Training through Frog Lotus Yoga in 2014 and since then has been teaching public classes in her hometown of Bellingham, WA and now in BC. Lauren brings her passion of trauma informed yoga into all of her public classes. Her main goal is to cultivate a uplifting community for her students and create a space where they feel supported, yet inspired to explore their strengths through their asana practice. Leanne is known for her down to earth approach, knowledge of alignment and sense of humour. She brings a true love of the practice to her students, inspiring them to take the teachings off the mat and into their daily lives. "We all have a choice about how we want to engage the world around us and my yoga practice celebrates saying YES! to life. Celebrate life~ share the love...."
Leena is a 500 hour RYT instructor, she completed her 200 hr teacher training in 2006, and 300 tt in yoga therapy last year. Leena's discovery of yoga's healing benefits came after a back injury in her previous career as a RN. With time, patience and practice she was able to heal. Leena's focus in her classes is around correct alignment, safety and finding what feels good in our bodies. With gentle encouragement, to stay present and move with the breath we can all discover the amazing benefits of yoga. I first started practicing yoga 5 years ago because I felt like something was missing in my fitness program. Initially, I was drawn to the physical aspect of yoga but then I realized other amazing benefits like, how to slow down, be more present and find peace & calm amidst the demands and pressure of every day life. I literally fell in love with the practice and couldn’t stop talking about it so I decided to become a teacher in order to share my enthusiasm and my passion with others. Students can expect a dynamic and well balanced sequence accompanied by an inspiring musical playlist…and a French accent! I’m thrilled to be part of the Live Yoga community. Lisa has her Chinese Medical degree and has her own acupuncture practice. Her understanding of the body mechanics and how it works gives her the insight to guide her practice in a safe and compassionate way. She often gives her patients gentle yoga instruction and guidance to help them through any health crisis. She believes that yoga is the gift you give yourself to empower you to be the best version of yourself. She has two 200 certifications, completing her most recent certification in Bali to become immersed in the practice and the lifestyle. She has developed her own Meridian infusion yoga which complements the best of yoga poses with the meridian system to allow each student to become aware of where they are holding energy patterns that do not serve them. In turn, this liberates negative patterns that are holding us back from our true authentic selves. Lisa celebrates her life with her husband of 30+ years and her three daughters who spent many years dancing competitively (as does she) and used her knowledge to help them through pain and injuries that any competitive sport presents itself with. She welcomes students to her practice and promises they will learn tools and techniques to empower their own growth, wherever they may be. 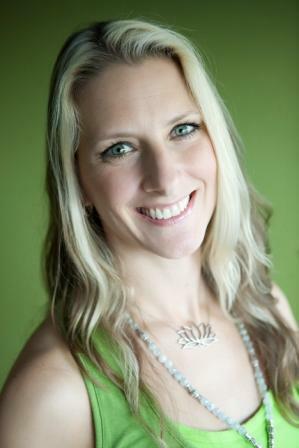 Marnie is passionate about the healing benefits of yoga and the value of creating community. Marnie has studied healing modalities for over twenty years and is convinced that the mind-body connection is very powerful. Specializing in yoga for stress release, she believes that a calm mind relaxes the body and an open relaxed body calms the mind. In addition, Marnie brings experience in nutrition, fitness training, counselling, energy work, spirituality, and psychology, and is a certified clinical hypnotherapist. "Yoga is a wonderful way to learn about our mind, body and spirit in a heartfelt way. Our yoga practice teaches us inner peace which brightens our community and the world." Nancy first discovered Iyengar Yoga in Bangalore, India in 2010. It took only one class to convince her that yoga was for her... for life. She now practices and studies under the guidance of Senior Iyengar Yoga teacher, Louie Ettling, and is in her third year of the Iyengar yoga teacher training program at The Yoga Space. In 2016 Nancy travelled to Pune, India to study with the Iyengar family. Nancy worked in the health care field for many years as a Registered Nurse both on hospital wards and in the Operating Room. Her yoga classes are challenging, informative, supportive and safe. Nancy enjoys sharing the wisdom and many benefits of yoga with her students. 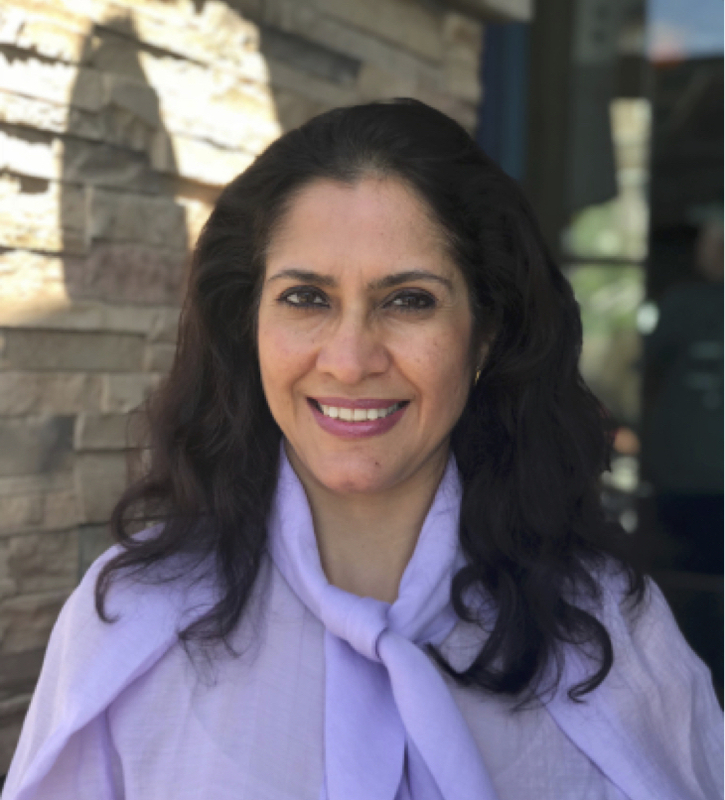 Sudha Ahuja: Born and raised in India, my journey with yoga began as a little girl in India, watching and imitating my dad do yoga. But it wasn’t until many years later that I seriously started doing yoga for knee pain. Through my practice, I discovered that yoga was the key to good health, happiness and confidence and began to believe in the healing powers of yoga. I have been practicing yoga for more than twenty years and in April 2017 I completed my RYT 200-Hour Teacher Training at Semperviva Yoga Centers in Vancouver. I currently teach Hatha Yoga Classes using the breath to connect both the mind and the body.I have a genuine, non-judgmental teaching style and teach from the heart. All my classes have a focus on breathing, meditation, relaxing into and holding each posture. Tobey worked in Special Education for 11 years and always found Yoga her go-to for stress release. She shifted to teaching Yoga and Outdoor Recreation in 2012. Her classes tend to focus on breathing techniques, meditation, gentle postures and restorative poses. Tobey cares about people and her approach is playful, supportive and encouraging. She lives in White Rock and spends lots of time with her two children. When not teaching she can usually be found with her family on or in the beautiful coastal waters of BC.